As we age, our bodies begin to show signs of imperfections and blemishes. Everyone is sure to develop wrinkles and age spots at some point. But some of us have to deal with other signs of aging such as spider veins. Sclerotherapy has proven to be one of the most effective methods for eliminating and reducing the look of spider veins. Sclerotherapy involves an injection of a solution (normally saline-based) into the vein. The solution irritates the lining of the blood vessel, causing it to collapse and stick together and the blood to clot. The body’s natural process makes the blood go to the next closest vein, eventually improving blood flow. There are very few side effects associated with sclerotherapy. The most commonly reported are localized itching and redness at the injection site. These side effect usually go away within a few days. Bruising may also occur around the injection site and can last several weeks. Larger veins treated with sclerotherapy may become lumpy, hard, or discolored, and may take several months to completely disappear. In rare cases, brown lines or spots may appear at the treatment site. These typically disappear within 3-6 months. New, tiny blood vessels may also appear around the injection site. This is known as neovascularization and should go away within 3-12 months without further treatment. Allergic reactions to the solution may occur at the time of the injection and are rarely serious. Patients with a history of allergies have a greater chance of experiencing an allergic reaction to the agents. Minor reactions will cause itching and swelling. Patients can expect 50%-80% of the injected veins to disappear. Less than 10% of patients will not see any results. In these cases, a different solution can be tried. 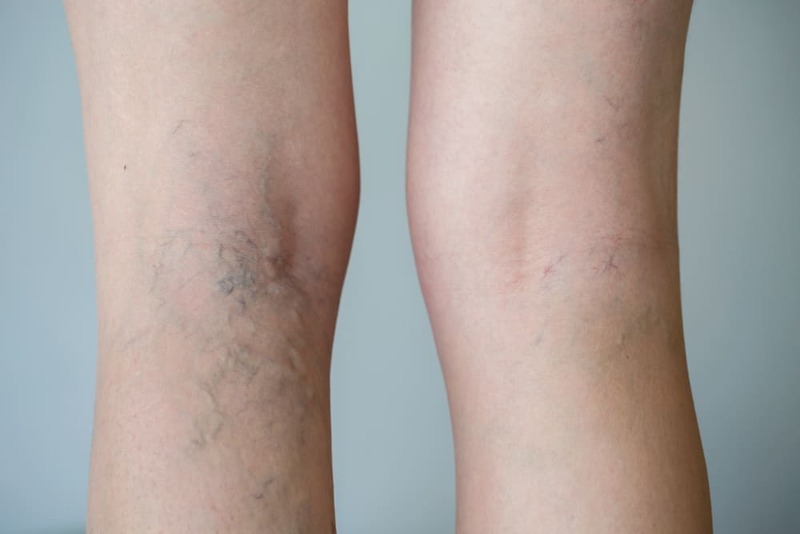 In general, spider veins typically disappear within 3-6 weeks, with larger veins going away within 3-4 months. If you’re interested in spider vein removal, contact Medical Aesthetics at Guilford today. No special preparations are needed before making an appointment. Once you come in, your doctor will examine the suspected area and ask you questions related to your symptoms and family history. Some tests may be taken to see how your veins are functioning or if there’s any evidence of severe complications.